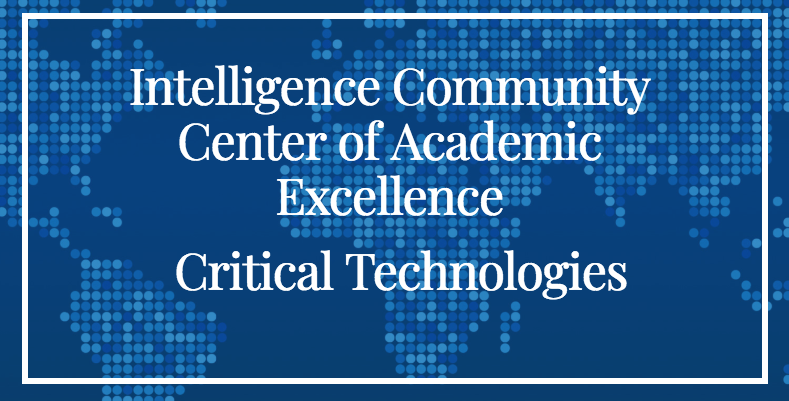 A Consortium led by the University of Alabama in Huntsville with partners Alabama A&M University and Tuskegee University has been designated an Intelligence Community Center of Academic Excellence (IC CAE) in the area of Critical Technologies. The IC CAE program is a congressionally mandated program funded by the Department of Defense to promote the acquisition of diverse talent for the national security workforce of the future. Computer science analytical writing and briefing. Expertise in these areas will enable the national security workforce of the future to "ensure the right data gets to the right people at the right time in the right form" (2014 National Intelligence Strategy).